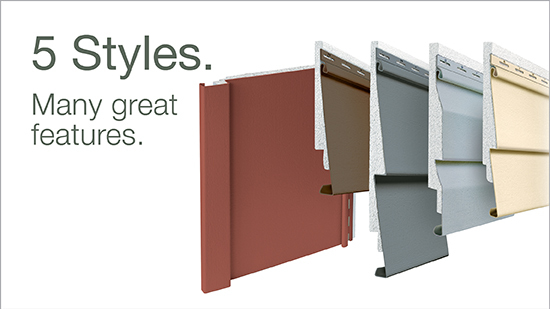 As the siding industry’s color leader, CertainTeed offers the widest selection of colors for insulated siding. Choose a subtle tone, deep shade or rich blend with confidence, knowing that the siding on your home has the highest level of color fade protection available. 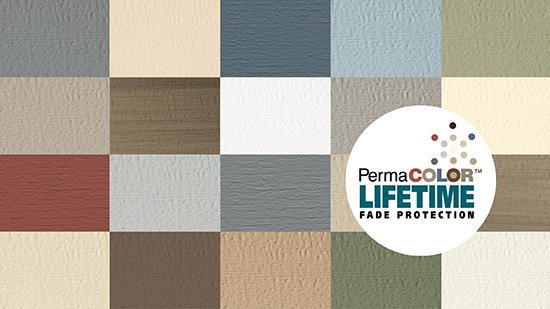 CertainTeed’s PermaColor™ system assures color performance, resistance and durability. CedarBoard’s TrueTexture™ woodgrain finish utilizes a direct transfer system from real cedar boards for a natural wood look. All five CedarBoards™ profiles feature natural cedar texture, straight even face, deep panel projection and heavy duty thickness to help achieve the look of beautifully crafted wood siding. Other features include RigidForm™ technology and DuraLock® for a strong and secure installation. CedarBoard’s TrueTexture™ woodgrain finish utilizes a direct transfer system from real cedar boards for a natural wood look. Choose from Double 6” Clapboard, Single 7” Clapboard, Double 4-1/2” Dutchlap, Double 4” Clapboard and Single 12” Board & Batten.